With Fintech’s actively looking to solve the world’s financial problems, Cryptocurrency is seen as a possible solution. Take a look at how digital assets like DasCoinand other altcoins can transform the modern financial sector. The financial technology sector is rapidly expanding. With a predicted increase in adoption of financial technologies, mobile payments and big data, the values of investments in Fintech ventures are expected to grow to 10 billion dollars by 2020. 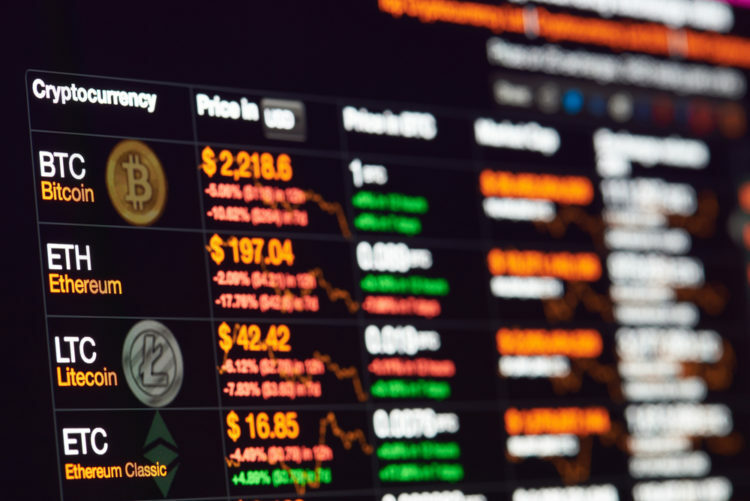 As Fintech ventures look to further solve the problems of modern finance, Cryptocurrency is seen as a robust solution for most of the issues faced by the financial sector today. By offering efficient solutions to outdated banking systems, Fintech allow institutions and users to facilitate easy and fast cash payments and improve overall cost savings. Before Fintech’s, the industry was held back by various process and approvals. While the digital asset solution is yet to be implemented fully, Fintech can take the help of Hybrid Cryptocurrencies like DasCoin to build solutions for global finance. Unlike more common crypto offerings like BTC and ETH, Hybrid coins like DasCoin are fit for real-world use. By implying new KYC process, these coins work very similar to fiat offerings but a decentralized at the core. Fintech’s can use hybrid altcoins as a reliable method of transactions, hence not needing third-party help payment processing and transfer. Several Cryptocurrencies provide peer to peer transactions which can be executed without the need of any third parties. Unlike Bitcoin, Hybrid altcoins run on native blockchain that can handle thousands of transactions in a second. This will significantly help in real-world usability and enable instant settlements. Such altcoins also serve as a useful international payment option assisting users to transfer digital assets on a global scale quickly. By leveraging on improved blockchain, altcoins will enable transactions at a much lesser cost. Hybrid cryptocurrencies like DasCoinoffer transactions at much fewer expenses compared to fiat alternatives. Each altcoin works on the blockchain; it serves as a decentralized ledger where all transactions are stored in blocks. Thus data once stored cannot be hacked into by anyone. Furthermore, hybrid crypto token’s offer smart contracts, which are self-executable contracts. This can be used for many purposes including global rent payments, merchant payments and much more. Both parties can set terms and once the conditions are met the contract is executed. Hybrid coins also use KYC to authenticate users. As hybrid coins combine the technology of cryptocurrency with the usability of fiat currency, they can serve as an effective method for distributing dividend payments to shareholders. Companies can permanently keep transaction history on the blockchain and can even enable automatic payments. Fintech ventures offer an update to most traditional financial sectors. While core banking is their primary emphasis, theseservice providers also look to revolutionize customer interactions. Hybrid Cryptocurrencies bring an exciting prospect to modern finical technologies. As their usability is similar to fiat options, Fintech can structure entire applications based on hybrid coins. By enabling KYC, hybrid coins offer a spam free user base that would be less prone any malpractices. They will also facilitate global P2P interaction including merchant payments.